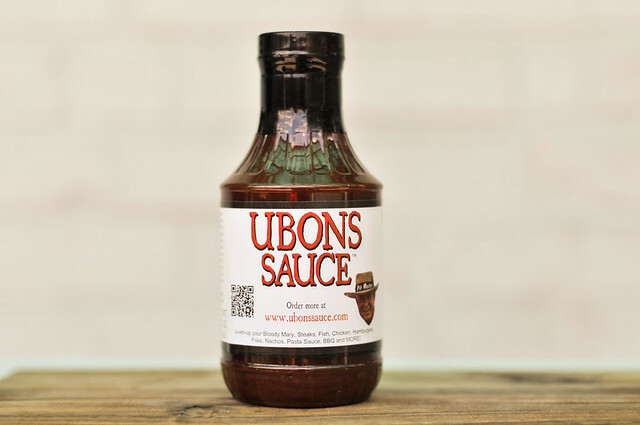 Cutting across barbecue lines, Ubons Sauce has an emphasis on vinegar akin to Western North Carolina or Memphis, but a ketchup sweetness found in St. Louis. 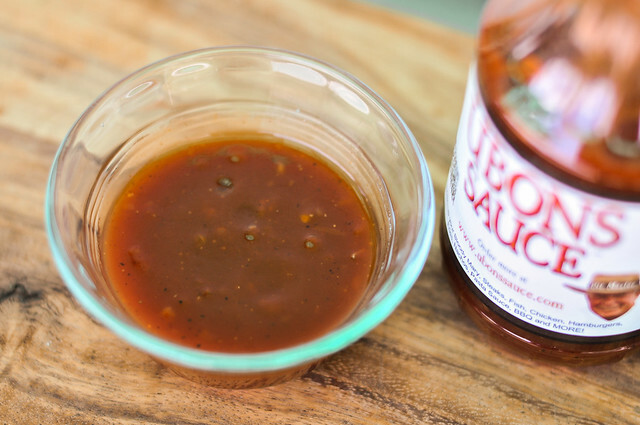 The end result is a multi-purpose sause that has a very pleasing flavor to dress your grilled goods or barbecue. Since I've been going to the Big Apple Barbecue Block Party in NYC, no one has been able to match the warmth and hospitality of Pitmaster Garry Roark and his daughter Leslie at Ubon's Barbecue from Yazoo City, MS. The kindest hearts to come through New York have not only rewarded me with some excellent pulled pork, but also this bottle of their sauce to give a try. The recipe for this award-winning sauce has been passed down through five generations. It was originally created in southeast Missouri, "so it's got a Memphis flair with a nod to Kansas City." One first smell, there's no doubt this is a vinegar-heavy sauce. A slight singe to the nose makes that apparent, but the tartness is mellowed by a strong ketchup sweetness. There's also a strong hit of Worcestershire along with fair amount of onion. This is a thin and drizzly vinegar sauce that flows quickly off of a suspended spoon. That smooth flow is only interrupted by the large chunks of onion that give this sauce some texture. Its light orange/red hue lets a fair amount of spice specs to be seen throughout. The sauce starts with the heavy flavor of vinegar, but the sharp tang is quickly put in check by a heavy hit of sweetness from ketchup. Then the sauce starts to bite a bit with Worcestershire, followed immediately by onion and spices. Then the vinegar reigns in the show as it reprises its role, leaving a tart heat lingering on the tongue. 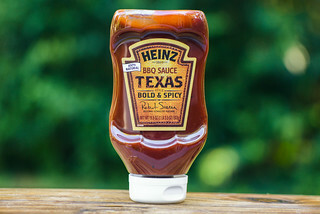 Despite the light coating that had some burn off over direct heat, this sauce delivered a great flavor after being grilled. The sauce had some caramelization, and the sweetness really got pumped up, mixing pretty equally with the vinegar that was so dominent out of the jar. This created a sweet and tangy sticky piece of chicken that had me licking my fingers clean in the end. 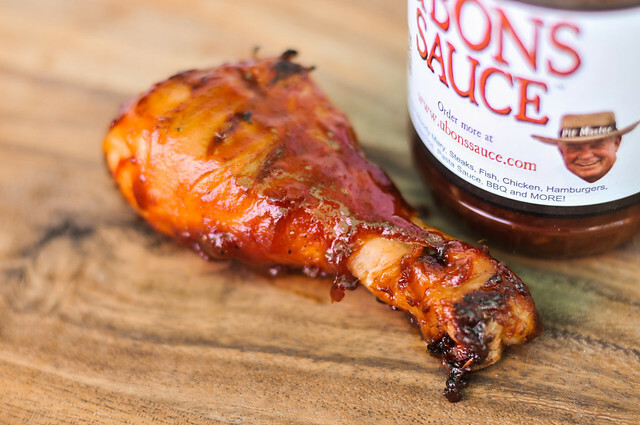 Ubon's sauce cuts across barbecue lines with a emphasis on vinegar akin to Western North Carolina and Memphis, but with a heavy ketchup sweetness found commonly in St. Louis. 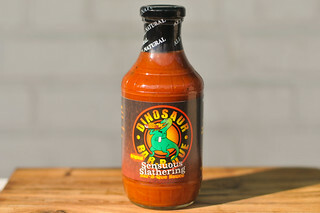 The end result is a multi-purpose sause that has a very pleasing flavor to dress your grilled goods or barbecue. The vinegar component means it works great as a condiment, especially on a pile of pulled pork. The ketchup side makes it work nicely on the grill, where the sweetness really comes out. 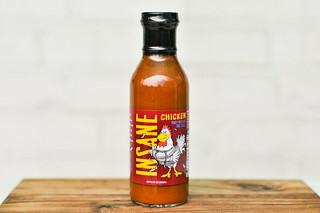 It was great on my chicken, but the bottle also advertises uses as diverse as bloody marys, pasta, nachos, fries, and steak. All I can say is, yes please to all of them. Piedmont style-ish? This is one for me!